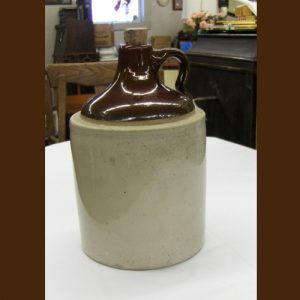 Olde Tyme Antiques: An Antique Shop in MN Providing You With Antique Pottery, Antique Stoneware and Much More! 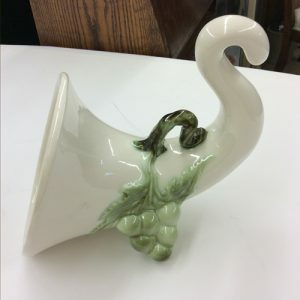 Pottery and stoneware is just some of what you will find at Olde Tyme Antiques, a rustic antique shop in MN located just a couple of miles north and west of Austin with a second shop in Red Wing. From stoneware shoulder jugs to Van Briggle shell planters, we offer a huge selection of antiques and collectables. Whether you’re shopping for a gift or for an addition to your own collection, we welcome you to browse through our new online store. If you’re in the Southern Minnesota area, stop into one of our shops! What else do we offer at Olde Tyme Antiques? Like we said, antique pottery and stoneware is just a couple of the products offered here at Olde Tyme Antiques. We also carry costume jewelry, linens, furniture and primitives. Click on any one of the categories on the left hand side of this page for a specific group of antique and collectable products. Contact Olde Tyme Antiques Today or Stop in for a Visit! Do you have questions about a specific antique pottery or stoneware piece on our site? Looking for some additional background information on a product? If so, we welcome you to give our shop a call to speak with us directly. You can reach us by phone at 507-437-3343. You can also reach us by email through our request information form. We look forward to hearing from you!